LERN is busy preparing for its 2015 Institutes. 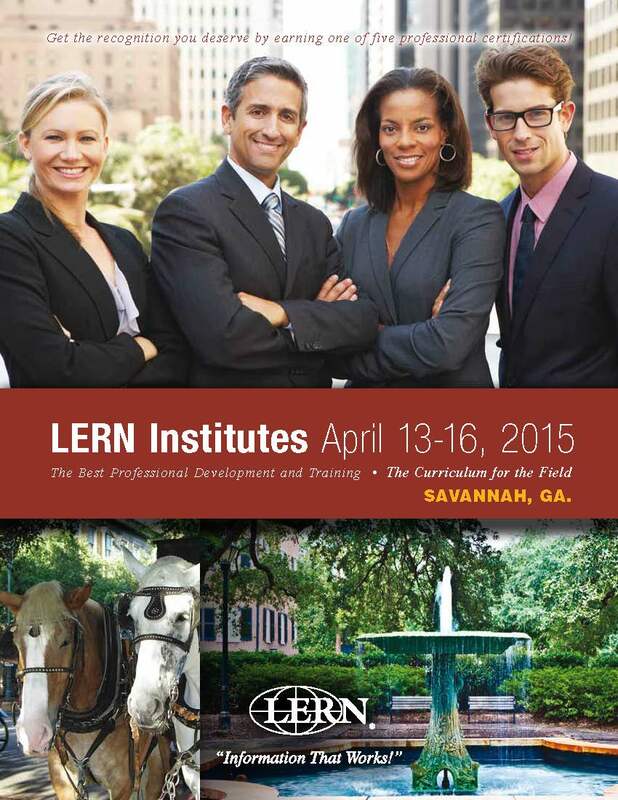 From April 13 through April 16, some of lifelong learning's leading experts will deliver the best professional development, training and curriculum for the field at the intensive LERN Institutes in Savannah. We just sent the brochure to press, so watch for it in your mail. Don't want to wait? Click here to download it now! Participants of our Institutes receive the most advanced information about enhancing daily work and improving programs.